Most parents will come across their children’s niggles with GP visits for vaccines or to the dreaded dentist for the prodding and poking with metal instruments in their mouths and what about the kids who are critically ill? Sadly, some families will face the natural childish fear of the world of doctors and hospitals on a weekly, if not daily basis. 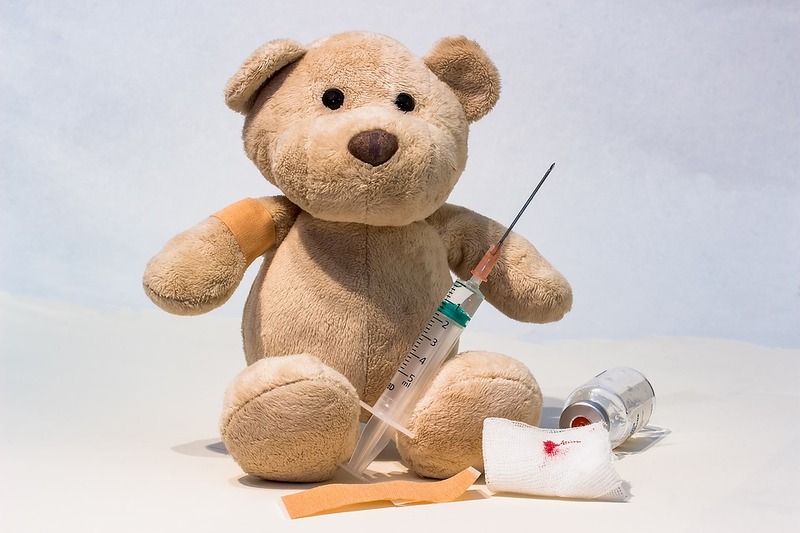 And the parents of chronically ill children or those who arrive at A&E with a critically ill child will often learn no matter how sick their child is, they are far from in the mood to have their skin pierced by needles. 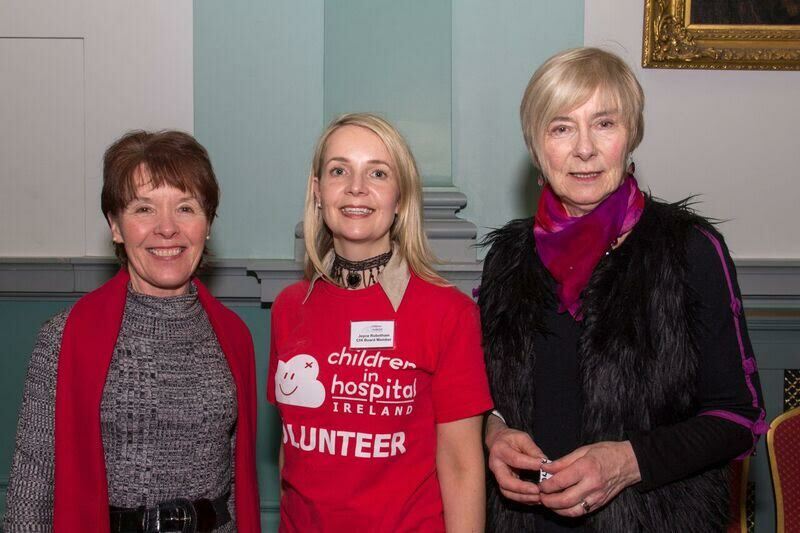 Children In Hospital Ireland is an Irish charity, advocating on behalf of sick children and their families for almost 50 years. 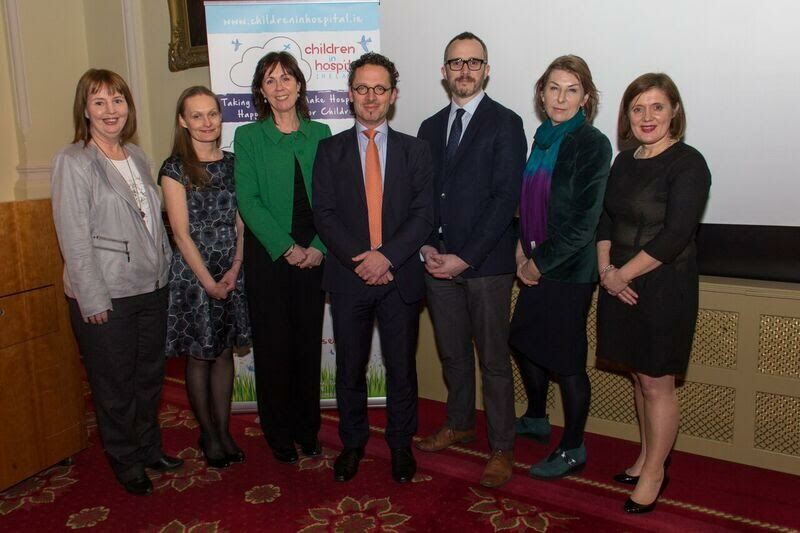 At their annual lecture earlier this month, the group assembled a panel of Irish doctors and nurses from Temple Street and Crumlin children’s hospitals in Dublin. And they discussed the complexities involved in treating children who are fearful of and resistant to medical treatment. 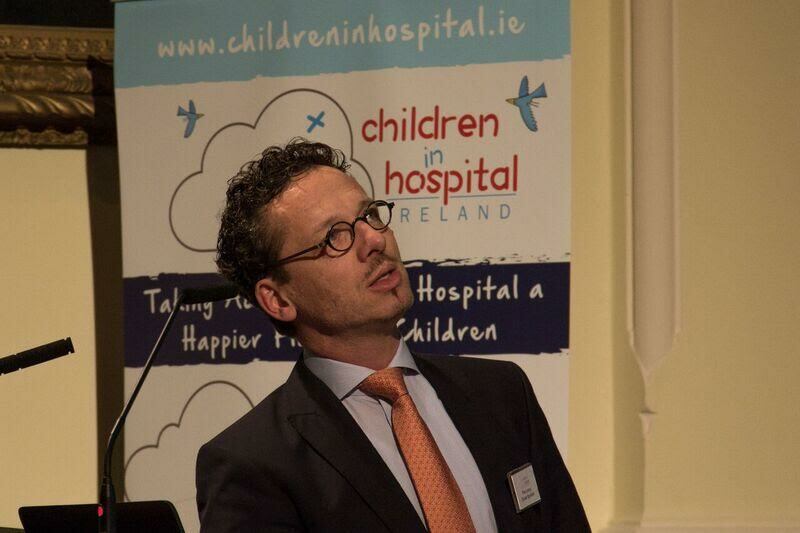 Guest speaker, Dr Piet Leroy, senior consultant and director of the Paediatric Procedural Unit at Maastricht University Medical Centre in the Netherlands, explained his campaign to reduce the trauma involved in medical procedures for children. Dr Leroy has created a five-step, child-centred model of care to reduce procedural anxiety and pain, simple, free and non-intrusive, ideas. As a parent, it is important to be aware of and insist upon these guidelines being followed whenever your child receives a medical treatment. Avoid unnecessary treatments seems like an obvious solution but unfortunately this isn’t always very obvious. During his lecture, Dr Leroy described situations where a hospitalised child is in the care of several consultant doctors. Each doctor arrives at the bedside at a different time of the day and orders a blood sample. The patient, a young child, then has two or three different blood samples taken in one day. In this situation, one blood sample can and should be used for all tests. Hospital consultants should always communicate and coordinate treatments to reduce the number of procedures. It’s common sense that local or general anaesthesia are used to avoid the pain of major or minor surgeries. However, the use of local anaesthesia can also be employed to reduce the pain and discomfort of many non-surgical, routine procedures. For example, the insertion of an intravenous catheter or blood testing. In this situation, a topical gel is usually applied to numb the area of the arm or hand. Dr Leroy is quick to point out that this gel takes at least one hour to be effective. Doctors working under pressure often do not give the gel long enough to work, resulting in unnecessary pain for the young patient. In one Dutch hospital, nurses are trained to police the correct use of this gel. It is not unusual for these nurses to send a doctor away from a patient. The doctor has no choice but to return later, when the gel has had time to properly numb the area. Dr Leroy suggests that every child patient who arrives in the hospital emergency room could have this gel applied immediately. Should a blood test or drip be required, the patient’s arm/hand will be already numb by the time they see a doctor. 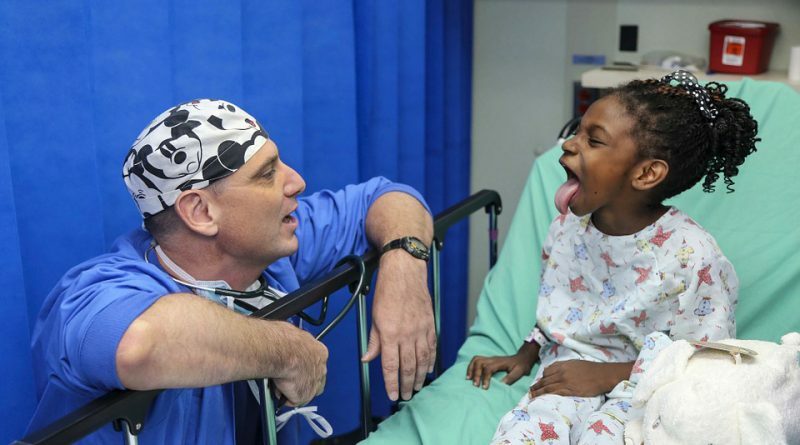 Distraction, play therapy and a quiet calm approach to child patients are extremely important in reducing the stress of a medical procedure. 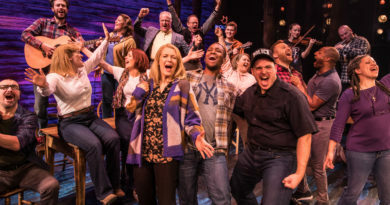 Research shows that play actually aids recovery. Forty-five years ago, when the first volunteers from Children In Hospital Ireland brought play to Crumlin hospital they were met with suspicion. Today this charity brings play to children in thirteen hospitals around Ireland. Their volunteers are on hospital wards, in emergency and out-patient waiting rooms and hospital playrooms. They facilitate play to distract and soothe children in hospital environments. If your heading to the hospital/doctor’s surgery with your child always bring along their favourite toys and teddies. If your child is resisting treatment, Dr Leroy suggests considering the situation from the youngster’s perspective. Could the discomfort and/or anxiety be reduced by changing position? One study examined stress levels in children during the insertion of an intravenous catheter into the hand. Traditionally children lie flat on the examination table during this simple procedure. However, children who were held in an upright position by a parent experienced considerably lower levels of distress. Lying flat on a strange table is more intimidating and frightening than being upright in the arms of a parent. This same strategy can easily be employed during routine dental visits and vaccinations. Dr Leroy suggests that sedation can and should be considered to help reduce procedural discomfort in young children. This idea is quite controversial among medical practitioners. Mild sedation such as nitrous oxide or low doses of the benzodiazepine midazolam do not require the presence of an anaesthetist. Many doctors are however reluctant to administer these drugs to child patients. Dr Leroy argues that such medicines are very safe for use in children and could in theory be administered by nurses. He is quick to caution however that sedation should be used only if other methods fail. Indeed, if used isolation sedation will not be successful. 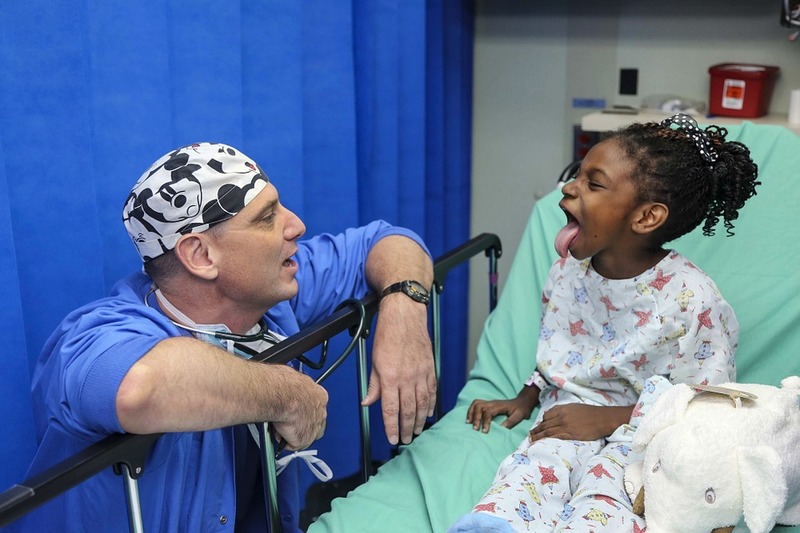 The sedated patient is calm, but awake and aware and still in need of child-centred care. Children who resist treatment are sometimes not fearful of the actual procedure they are about to receive. Very often fear results from the memory of a previous unrelated, bad experience. One negative episode can make future treatments for that child even more difficult or impossible. Children who are traumatised by medical experiences are likely to become adults who put-off going to see a doctor or dentist. As parents, we can do a lot to help prevent our children developing negative medical associations.